I first met Alan at Clapham. This was after many chats on Twitter about our love of music and all things punk. Our families saw this meeting as hilarious – especially our children, who reminded us of warnings about meeting ‘internet friends’. 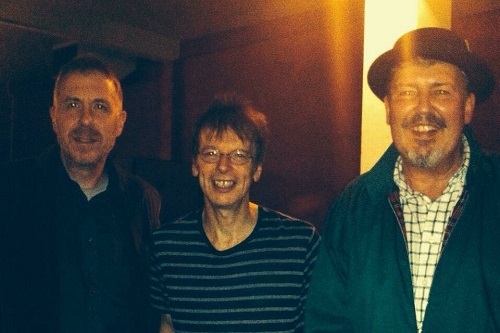 Ignoring this ribbing we chose common territory – an Undertones concert at the Clapham Grand. The rendezvous was the Falcon pub by Clapham Junction station, but I spotted Alan on the platform stairs. I knew it was him from his lack of hair and walking stick, as he was undergoing chemotherapy. I introduced myself and soon we were crossing the long footbridge to the exit. For those of you who are familiar, this seventeen-platform railway station is one of the busiest in the UK. What with Alan’s poorly state it took us a while to reach the end – and at the exit Alan decided it was the wrong side. We laughed this off and headed back. A few minutes later, at the opposite exit, Alan gave me a horrified look, “I’m really sorry,” he said, “I was right the first time.” We laughed and set off again, but by the time we reached the far exit Alan was puffed out. Out on the pavement he looked round and I could see by his sheepish look what the problem was. “I don’t believe it!” he said, “We’re on the wrong side! I’m so sorry.” Rather than trek back we hailed a taxi. “To the Falcon pub.” “Are you sure?” said the driver, “that’s not much of a fare.” “Really sorry,” said Alan, “I’ll make it worth your while.” “No problem,” replied the driver, seeing how exhausted Alan was. He drove about fifty yards and pulled up by the Falcon. We were on the right side after all, as Alan and I would recall afterwards with hilarity. Despite the mix-up, this was the first of many get-togethers for concerts. It’s not often at my age that you meet someone and make such a connection with them that you feel you’ve known them forever. We shared a passion for punk and also an attitude to life. Like me, he was a massive Clash and Undertones fan and we would often chat about bands, songs and gigs by txt or phone. I soon found out that Penetration were one of Alan’s faves, claiming them to be punk royalty, and although we agreed on most things punk I couldn’t quite get my head round this. I first became aware of the band’s existence from a punk documentary I saw in the late 70s. A black-clad woman with cropped black hair introduced a song saying, “This one’s called Don’t Dictate, and that’s my posh voice!” She came across as more demonic than posh. The song didn’t strike me at first but I was gripped by her flailing arms as she pranced around belting out the vocals. Then she wrenches a bottle from the hand of an idiot in the front row who was showering her with froth. Don’t Dictate was Penetration’s debut single in November 1977. That TV appearance was from a gig at the Manchester Electric Circus in August. The song became an earworm and so I felt this band had to be looked into. Penetration formed in 1976 in Ferryhill, County Durham, as The Points. The name was soon changed to Penetration, after the Iggy and the Stooges song. Pauline Murray was a charismatic singer with a stage presence which Siouxsie Sioux would soon emulate, and all four of the band were musicians. They did their first show in Middlesbrough and their London debut was supporting Generation X at the Roxy in January 1977. Two more singles – Firing Squad and Life’s A Gamble – preceded the debut album. The latter was far better. It builds up with a pulsing beat on rough guitars, bursting through to an irresistible riff. Pauline’s vocal is low and melodic until she lets out a scream and the ridiculously catchy chorus kicks in, and she chants “life’s a gamble!” as the bass line paces up and down. This third release was Penetration at their finest. In July 1978, between the releases of Firing Squad and Life’s A Gamble, they recorded the first of two Peel sessions. All four songs – Future Daze, Vision, Stone Heroes, Movement – would appear on the album. All very good but here I’m picking Movement. A climbing bass and sliced-off chords set off at a fine rhythm and Pauline sings in a speaking style up to the tuneful chorus: “Hey, hey, baby we’re moving!” At the end the song slides into disarray with new chords and Pauline’s forceful “la la’s” rounding off a superb song. The long-awaited debut album, Moving Targets, arrived in October ˈ78. Now my income then consisted of modest pocket money filled out with savings from school dinner money, so record-buying had to be prioritised. Such bands as the Pistols and the Clash came first and so for Penetration I relied on cassette recordings from John Peel. But I did splash out for Moving Targets on the strength of the fab third single. Don’t Dictate and Firing Squad didn’t appear on the original release. This was in line with punk ethics, making sure fans got value for money without cashing in on the single’s success – I liked that. My excitement rose when I found out that the first 15,000 copies were to be pressed on luminous vinyl, then fell when I could only get one on black vinyl. Yet later I read that the luminous sound quality was poor – the music press described this ‘glow-in-the-dark’ gimmick as “far noisier than illuminating”. The album was awesome, capturing the energy of the live performances and even covering Patti Smith’s Free Money so as to equal, if not better, the original. Nostalgia, penned by the great Pete Shelley, is a fine song but just misses my top ten. But for me, at the time, this record was outflanked by favourites such as the Clash’s debut, the Ruts’ Crack, Siouxsie and the Banshees’ The Scream and of course the Undertones’ debut, leading the field on my turntable. This was the subject of many conversations with Alan who put Moving Targets up there with those classics. 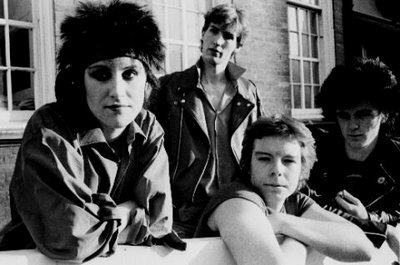 Penetration’s next Peel session in February 1979 consisted of just three songs: Danger Signs, Last Saving Grace and Coming Up For Air. Now it may have been due to my old Hitachi cassette radio or to my being half-asleep, but this session didn’t grab me as the first one had. So I guess it was here that I dropped Penetration to focus on what I saw as the A-listers – and for this reason I didn’t notice how good the fourth single, Danger Signs, was. The song is full of energy. No slow build-up here: punchy chords which make your hair stand on end burst in with a razor guitar sound overlaid by fiery solos. Pauline’s distinctive tones as ever dominate the mix. Encouraged by Alan I revisited Moving Targets. It sounded good and I couldn’t believe I’d shelved it for so long. And Alan got me a present: a mint-condition copy of the second album Coming Up For Air. “This is good,” he promised. I recalled the less convincing second Peel Session, but he was right. The songs are not quite as catchy and energetic as on the first album but the same quality is present. The opener, Shout Above The Noise, starting with a reverb guitar and snare drum pulse like machinery in a factory, is classically brash punk. Come Into The Open is more varied and also tuneful. “Come into the open, there’s nothing left to hide,” Pauline sings. Yet these great songs were let down by the record’s muffled sound and Steve Lillywhite’s substandard production. A month after Coming Up For Air the band had split up. An officialised bootleg was released: Race Against Time. One side contained demos that added nothing to the later Peel sessions, but the flip side had an energetic live set recorded in Newcastle, mostly in 1979, and this alone made it worth getting. After Penetration, Pauline Murray teamed up with producer Martin Hannett of the Invisible Girls. They were joined on drums by John Maher (of the Buzzcocks) and on guitar by Wayne Hussey (who went on to join the Sisters of Mercy) and had some success with the 1980 single, Dream Sequence (One). During the 80s, Murray pursued a solo career with a string of singles released under the names Pauline Murray and the Storm and Pauline Murray and the Saint. These had moderate success, with mellower vocals a far cry from her brassy punk style of the 70s. Penetration reformed in 2001 with original members Pauline Murray and Robert Blamire (on bass). New guitarists Steve Wallace and Paul Harvey moved in along with John Maher on drums. And not long after Alan had talked me into giving Penetration another try, along came the album, Resolution. Seduced by the limited edition red vinyl I bought it before hearing any of it (which you can do as an adult with slightly more disposable income than pocket and dinner money). I returned the compliment and bought Alan a red vinyl pressing as a gift, and neither of us was disappointed. 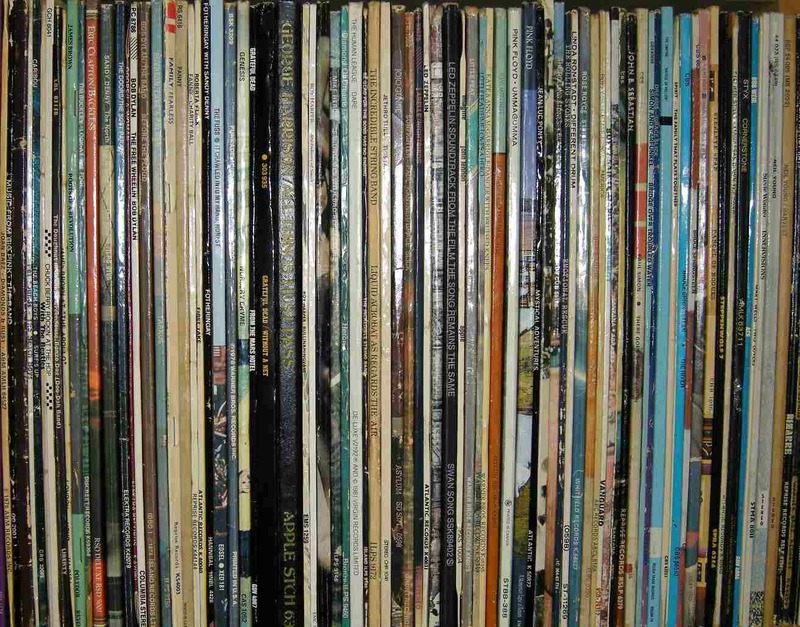 Experience of initially adoring a record has taught me that love on first hearing can wear off – it’s normally the ‘growers’ that stay with you. But not this time. The songs are catchy with superb musicianship and a crystal-clear sound nothing like the old padded-cell mixes – this is how records should be produced. All the songs are classic Penetration; powerful, emotional and full of riffs to die for, though the band has evolved from the original punk outfit I saw on TV that night in my teens. I could have chosen any of the twelve songs but I’ll keep it to four. Beat Goes On was released as a single with a video. The song fades in with scratchy guitars and Pauline’s delivery may be subdued but her voice is as expressive as in the old days. The video shows the band members moving in and out of shadows with album-cover imagery projected on them as the song careers along. Just Drifting is beautiful. Over driving drums and a distorted guitar riff, Pauline sings smoothly and emotionally with Strawberry Switchblade sweetness. A song that shows us that Penetration have developed and matured while keeping their punk integrity. Betrayed! and Calm Before The Storm are darker songs. The former kicks in beautifully after the opening gothic instrumental and Pauline sings with a crispness not evident in earlier recordings. The latter song is more complex and dramatic with shifting moods. After I finally came round to Alan’s way of thinking – seeing Penetration as punk A-listers – a new debate ensued. Which was better: new Penetration or old Penetration? For me it was the new incarnation, for Alan it was the original. 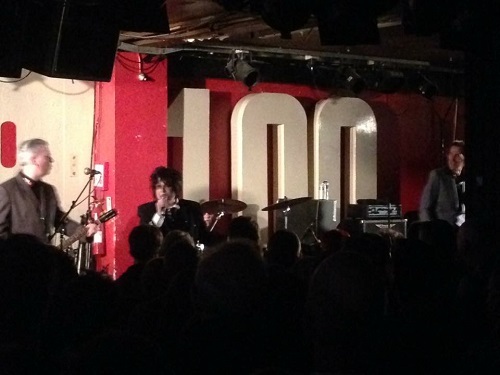 In June 2016 I got a txt from him: “Penetration playing 100 Club. Wanna go?” My reply was even shorter: “Yes.” Now we could settle the point. So, on 19th August 2016, Alan and I went to see the band he had loved since the 70s and which I had learned to appreciate, thanks to him. My admiration for Alan and his bravery in fighting cancer was cemented that night. Once again he was in the throes of chemotherapy and I could see the toll it took, though he never complained. He was struggling but the pull of the music he loved was stronger. The concert was incredible with a hot, sweaty atmosphere that made it feel like we were back in the 70s. They started with the new album and carried on with old stuff. We enjoyed the new material played live and hearing the classics from the first two albums was just thrilling. Pauline’s vocals were spot on and the whole band showed their musicianship. Alan passed away on 25th October 2016. 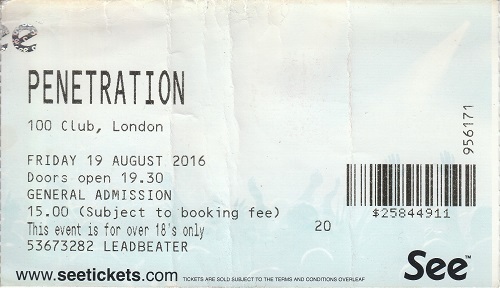 He was right of course; Penetration have always been in the punk premiership. But as to which Penetration gets the cup? We’ll have to disagree on that one. 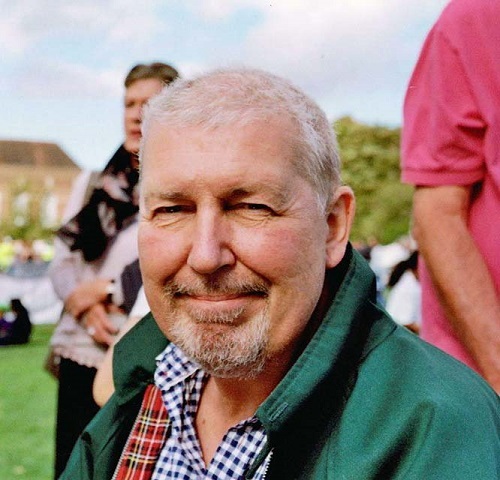 In any case I’d like to dedicate this post to Alan Leadbeater, a dear friend, much missed. A fitting tribute to the band and to the man. Well said, Neil. Thanks for a great read – Penetration are a band who mostly passed me by, though I still have the 12 inch single of Danger Signs. And this is a beautifully written tribute to a special friend.